Woodgreen have recently finished refurbishment works at the Northamptonshire & Warwickshire Air Ambulance Control Centre. The works were undertaken on behalf of our Blue-Chip client, Sainsbury’s, along side Simpson (York) Ltd and Fit Out UK, as a gesture of good will as the Air Ambulance was chosen as Sainsbury’s charity for 2017. 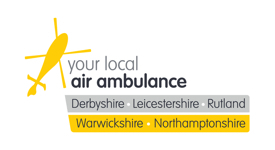 The service flies two regional air ambulances across Northamptonshire, Warwickshire, Derbyshire, Lincolnshire and Rutland and celebrates its 10th anniversary this year. The helicopters respond to trauma and medical emergencies spanning over 3850 square miles and also cover major road networks within the UK including the M1 and M6. The current number of missions undertaken is 31,704, with 262 occurring in March 2018 alone (all data correct as of date of publishing). In order to give the staff and volunteers a fresh working environment, Woodgreen and the other contractors involved redecorated the Control Centre internally and replaced light fittings and ceiling tiles, as well as refurbishing the kitchen and seating area.